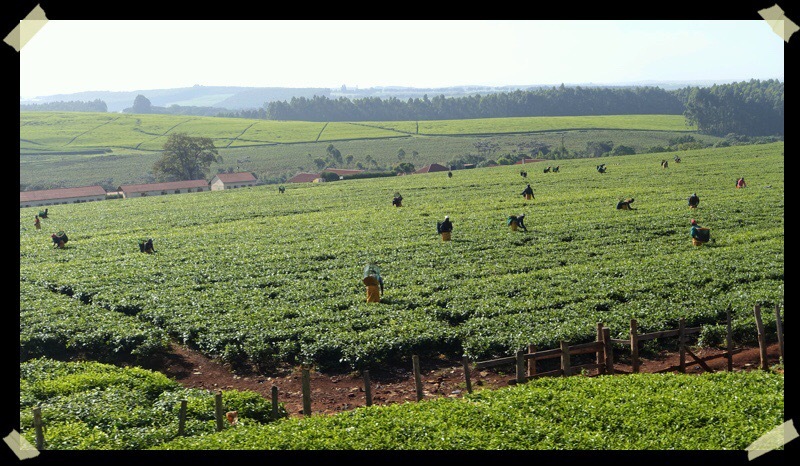 The town of Kericho in the highlands of Kenya is famous for tea with tea plantations stretching in emerald green fields for as far as the eye can see. 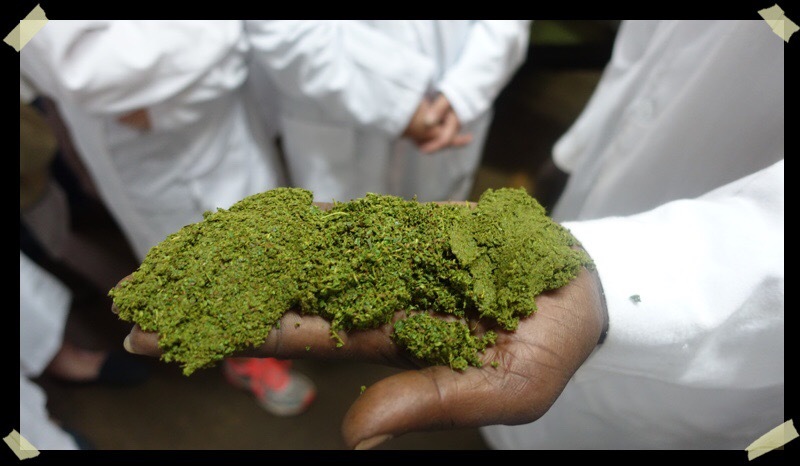 We had a tour of the Kabiangs Tea Factory to follow production from the field to the finished product. The tea is picked by hand and air dried by fans for 16 hours. It is chopped finely through three phases. This causes some release of heat and the warmth (39 deg C) and more air caused a fermentation to take place over the next 90 minutes. The brown product is then heat dried again through three cycles and finally sifted to different sizes to remove fiber and provide three different products of different sizes. 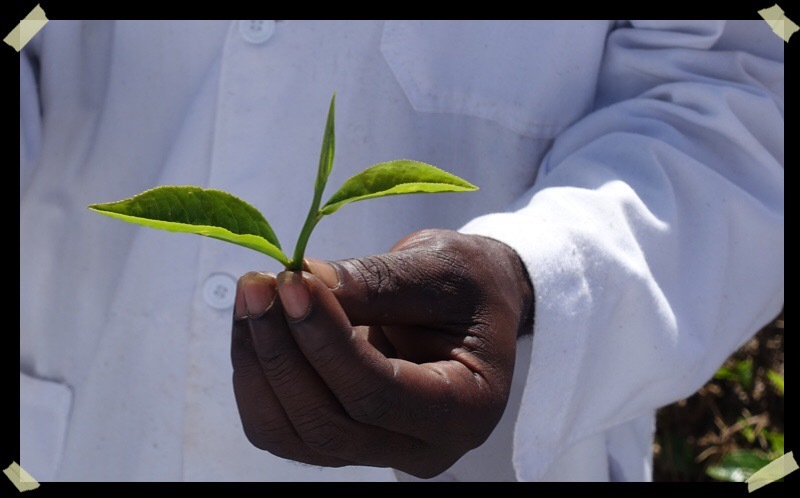 It is tested for taste quality, bagged into large sacs and transported to Mombasa for sale on the international tea market. 4.5 Kilos of leaves make 1 kilo of tea. 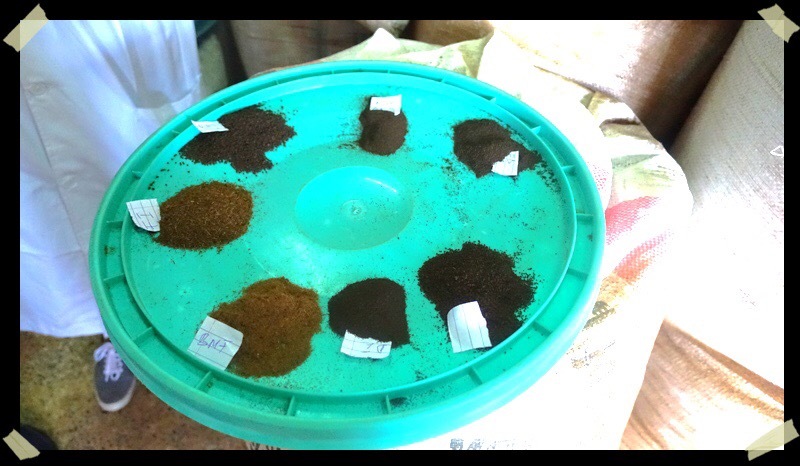 After being finely chopped the tea becomes warm and naturally ferments. Different grades of tea according to the final size. 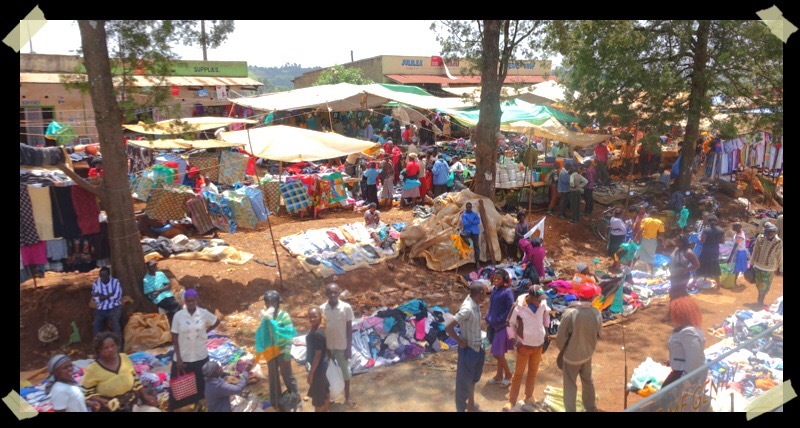 Is the scene on the road to Kericho a road-side bazaar? I am enjoying your photo essays. It is a pretty typical roadside market. Vibrant.